The Farm and Dairy staff has selected the top 10 stories to impact its readership in 2018. Take a look back at the most influential farm stories of the year, and comment below to share how these stories affected you. The United States and China are locked in a dispute over their trade imbalance and Beijing’s tech policies. U.S. President Donald Trump imposed import taxes on $250 billion in Chinese products — 25 percent on $50 billion worth and 10 percent on the other $200 billion. China retaliated by slapping tariffs on $110 billion in U.S. goods — including a 25 percent tariff on soybeans. U.S. soybean sales to China in 2017 amounted to $12.356 billion, or 27 percent of U.S. production. In late November, the United States and China reached a 90-day cease-fire. Trump agreed to hold off on plans to raise tariffs Jan. 1 on $200 billion in Chinese goods, and China agreed to buy a “not yet agreed upon, but very substantial amount of agricultural, energy, industrial” and other products from the United States. Learn more: Tariffs could spell disaster for Ohio farmers; Trade fight is on, threatening US agriculture; Trade war could cost Ohio farmers half their income. 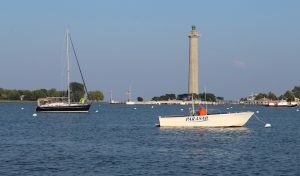 Lake Erie waters, with Perry’s Victory and International Peace Memorial in the distance. After the data showed little progress in improving water quality in Lake Erie and its major watersheds, Gov. John Kasich and his administration stepped up actions. 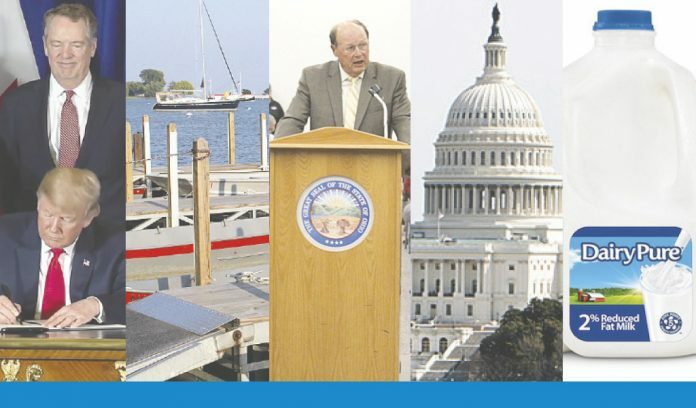 Portions of the lake were declared impaired in the spring, followed by eight watersheds the governor tried to get declared in distress. Although the distressed designation never came, state policymakers and leaders ended the year with issue still at the forefront, and a major priority for 2019. 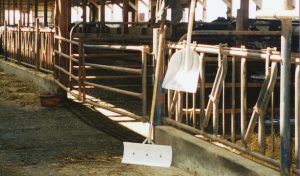 Farm groups said they were not included in the governor’s actions, and if new policy is to be made, they want a seat at the table. Learn more: Kasich’s executive order concerns many; Farmers question whether Kasich’s order is practical; Breaking: Kasich signs Lake Erie executive order; Commission tables Kasich’s order on watersheds. More than 170 Ohio dairy farms have stopped milking cows since October 2017. More will follow. In October, we reported that Ohio alone has lost 172 dairy farms in 12 months, a drop of 7.4 percent of dairy farms in one year. And the number is sure to climb, as too many years of poor milk prices and unpredictable markets for milk, cull cows, breeding stock, and feed take their toll. Part of the blame goes to basic supply and demand — there are around 9.4 million dairy cows in the U.S. and that production outpaces domestic consumption. Learn more: Dairy exodus: Ohio has lost 172 dairy farms in 12 months. 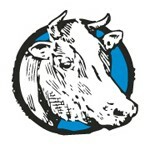 Citing “indisputable dynamics” in the economy and dairy industry, Dean Foods sent a letter in February to more than 100 dairy farms in eight states — including 42 in Pennsylvania and 10 in Ohio — terminating their milk contracts with the company, effective May 31. The dairy farmers struggled to find a new home for their milk, and some opted to sell their cows instead. Learn more: Dean Foods drops more than 100 dairy farmers; Dairymen searching for answers; Dairy farmers regroup after drop letter. In July, the Trump administration launched the Market Facilitation Program to provide payments to farmers of certain commodities — almonds, cotton, corn, milk, pork, sorghum, soybeans, fresh sweet cherries, and wheat —whose income was hit by what it called ‘unjustified’ trade retaliation to tariffs enacted by the U.S. 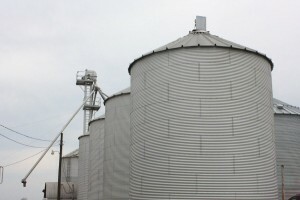 The payments were designed to help farmers with short-term cash flow issues triggered by the U.S.-China trade disputes. A second, and final, round of payments were announced Dec. 17. The USDA also started purchases of up to $1.2 billion in commodities targeted by the retaliation and is distributing them through nutrition assistance programs. A total of up to $12 billion was authorized to help farmers hit by disrupted markets. Learn more: Second round of trade mitigation payments announced. 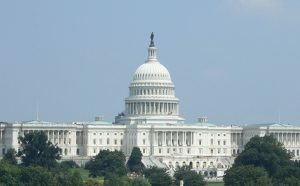 Keeping with their promise, federal lawmakers were able to get a new five-year farm bill done and approved by Congress in 2018, and before the winter holidays arrived. The new bill included a new dairy program, that expanded the price protection program for dairy farmers, maintained crop insurance options, and reformed conservation programs to better target lands of concern. The bill did not include everything everyone wanted, but ag commentators were calling it a significant and workable bill, at year’s end. The president signed the bill Dec. 20, and implementation would begin in 2019. 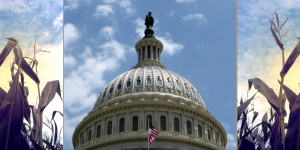 Learn more: New farm bill emerges from conference committee; Senate passes its farm bill 86-11; House passes its version of farm bill. A new North American free trade deal was finally reached Sept. 30, after weeks (some would say months) of bitter, high-pressure negotiations. 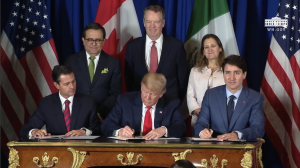 The deal will be called the United States-Mexico-Canada Agreement, or USMCA, and replaces the 24-year-old North American Free Trade Agreement. In the USMCA, Canada will provide new access for U.S. dairy products, chicken and eggs, and increase access for turkey, as well as change its grading practices of U.S. wheat. In late November, Trump gave lawmakers six months to approve the replacement, saying they can choose between the replacement — the United States-Mexico-Canada Agreement — or nothing. Dave Daniels, testifying in support of Ohio Gov. Kasich’s executive order during a meeting at ODA. Ohio Gov. John Kasich fired his agriculture director in October, just three months before the end of the governor’s term, apparently for disagreeing with the governor’s plan to declare watersheds in distress. David Daniels was appointed agriculture director in February of 2012, but said he had issues with the logistics and practicality of declaring eight watersheds in distress. Those same issues were communicated by farmers and non-farmers, and at the end of 2018, a distressed designation was still up in the air, as well as the rules intended to govern the designation. Learn more: Fired Ohio ag director speaks about what happened. 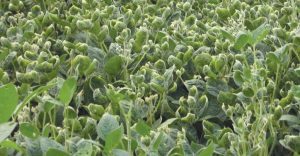 With increased scrutiny on the use of dicamba herbicides, the U.S. Environmental Protection Agency outlined new labeling and use regulations intended to keep the product from drifting onto non-dicamba resistant crops. Only certified applicators can apply dicamba (from the top), and top application to soybeans is prohibited for up to 45 days after planting. But some weed experts said even more action is needed, and encouraged farmers to talk with their neighbors about the types of crops being grown. Learn more: Weed expert: EPA’s new dicamba label doesn’t do enough; EPA changes dicamba registration to 2020; Label changes for dicamba in 2018; EPA adds national dicamba restrictions for this year; Volatility plays a big role in dicamba drift. 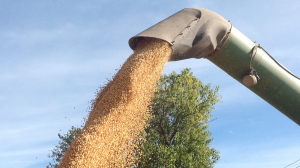 Richard Schwan, of Monroeville, Ohio, pleaded guilty in July to multiple charges related to the theft of more than $3 million in grain from 35 Ohio farmers. In August, he was sentenced to four years in prison, and ordered to pay $3,222,209 in restitution as part of his sentence. 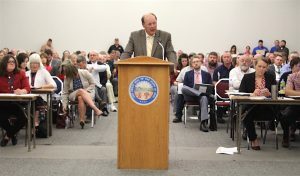 The money, which has been paid in full, will reimburse the farmers, the Ohio Department of Agriculture and the Ohio Grain Indemnity Fund, which previously reimbursed the farmers for the majority of their losses. Learn more: Grain handler pleads guilty to stealing more than $3M; Huron County man indicted for stealing grain. How much longer can dairy farmers survive?